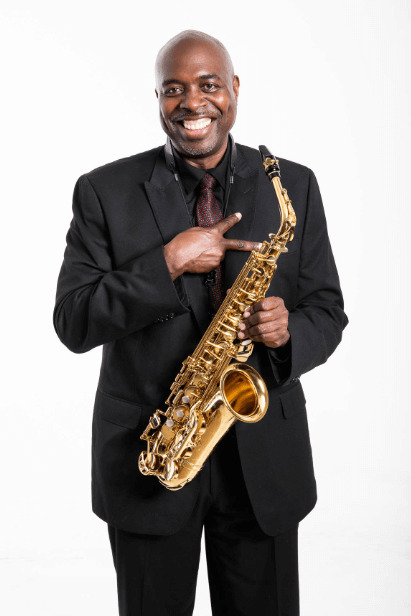 Saxophonist, flutist and clarinetist Craig Bailey emerged in the 1990s to become one of the most inventive and significant reed players of his generation. A native of Cincinnati, he earned his undergraduate degree from the University of Miami in 1984; he later earned his Master of Arts in jazz from New York’s Queens College. After moving to New York in 1985, Bailey worked with big bands led by Charlie Persip (1985–1986), Slide Hampton and Ray Charles (1987–2003). He also worked with Panama Francis ‘ swing combos and recorded with the Nancy Banks Orchestra and Bobby Watson ‘s big band. Bailey joined the Tana Reid Quintet in 1991, and in 1995, he recorded his debut album as a leader: A New Journey (Candid Records). In the past 25 years, Bailey has recorded three more CDs as lead: 2001’s Brooklyn (Evidence Records); 2009’s Brooklyn Big Band Live at Sweet Rhythm (Candid Records); and his latest recording Music à la Fleek (as Craig Bailey and The Ohio Jazz Players), release date coming soon. Since 2014, Bailey is also the Assistant Professor of Music in Jazz Saxophone at the University of Cincinnati – College Conservatory of Music.